Beads under $20. 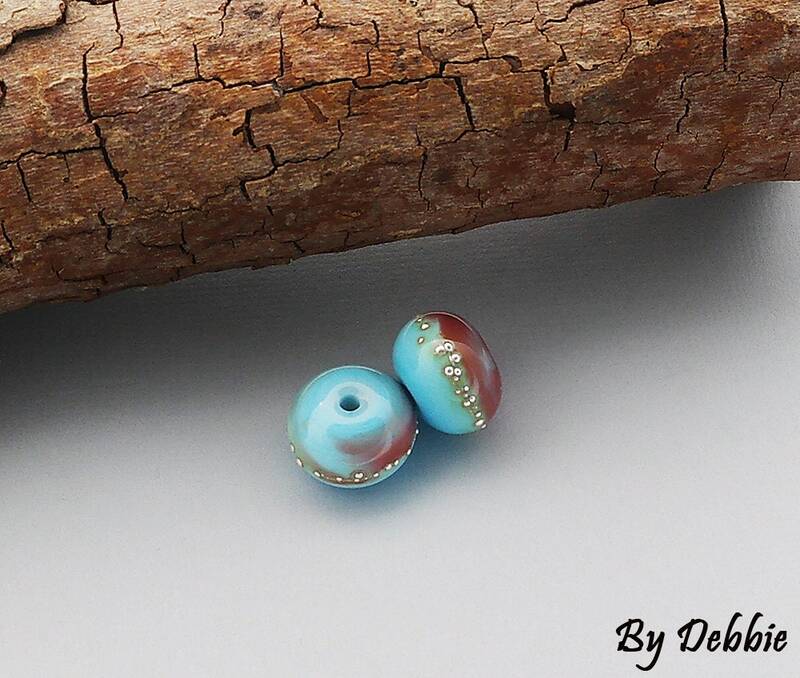 A beautiful pair of organic blue beads with a rust patina. Fine sterling silver is wrapped around each bead. 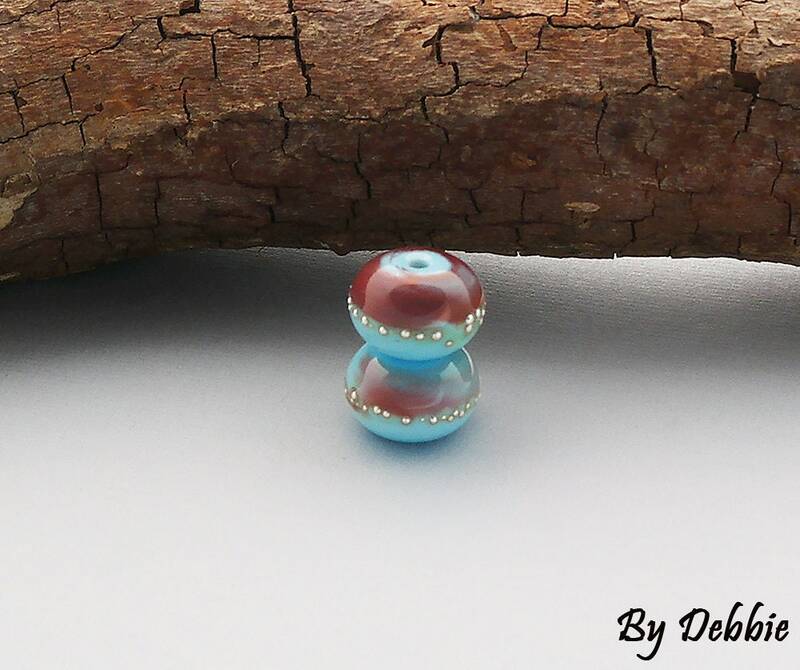 Measurements are roughly 13 mm in diameter for each bead. 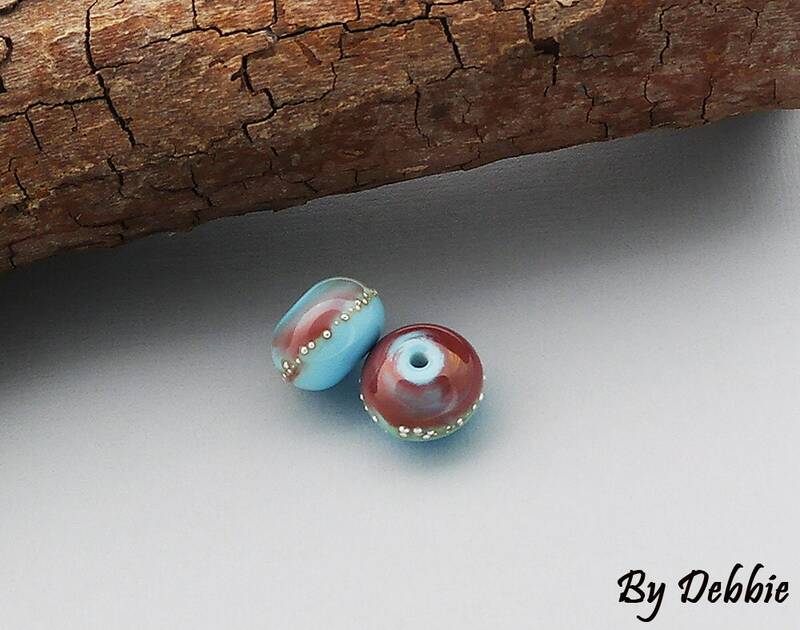 This is a made to order pair of glass beads. Please allow me 1- 2 weeks to complete your order. Just beautiful and even nicer in person! I love them—thank you!! !